New to market, South/west corner 3 brs 2.5bths condo rental, full service 24/7 doorman. 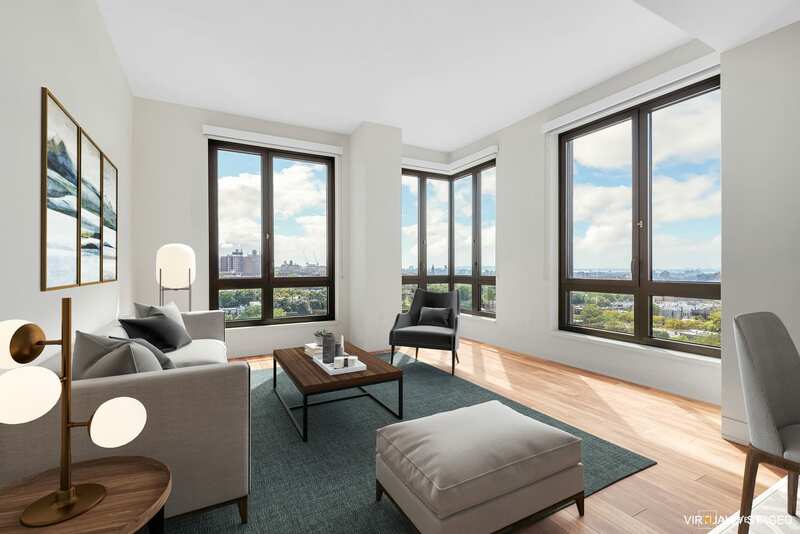 Welcome home to 550 Vanderbilt, Prospect Heights most coveted luxury condominium in Pacific Park, Brooklyns newest neighborhood. 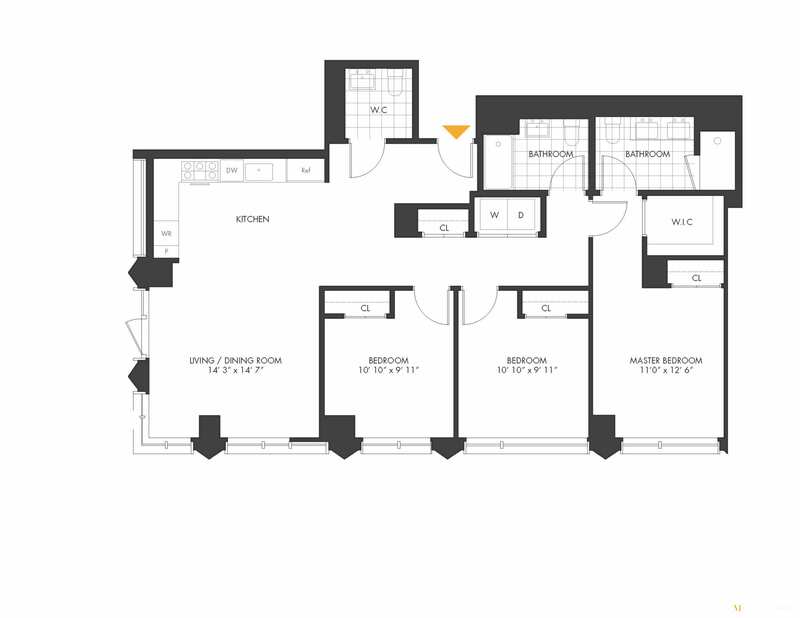 Residence 1109 is a corner three bedroom, two and a half bathroom facing South and West. 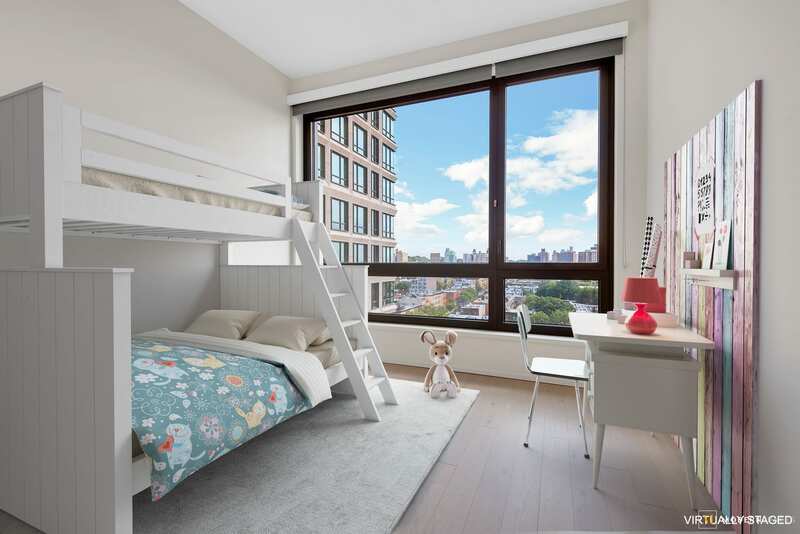 The double exposure corner living/dining space opens to both Dean Street and Pacific Park and features open kitchen. The 11 foot ceilings together with large windows allow for ample air and light and wide-plank white oak wood floors highlight a palate of natural materials. The kitchen features Carrera marble counter, walnut cabinetry and is outfitted with a premium Miele appliance package, including a vented cooktop hood. The master bathroom is a mix of Grohe fixtures, Carrera marble tiles and a walnut vanity. In addition, a LG Washer & vented Dryer are included. Designed inside and out by architect COOKFOX, residents will enjoy an elevated experience in urban living. The full service amenities include a lounge that opens to the outdoors, a library, 8th floor roof terrace, but through your own lobby you will be connected to 8-acres of lush green space! 550 Vanderbilt offers a gym, an attended lobby and a live-in resident manager. At 550 Vanderbilt you are surrounded by 5 historic neighborhoods, cultural landmarks, and a transportation hub ready to take you anywhere. 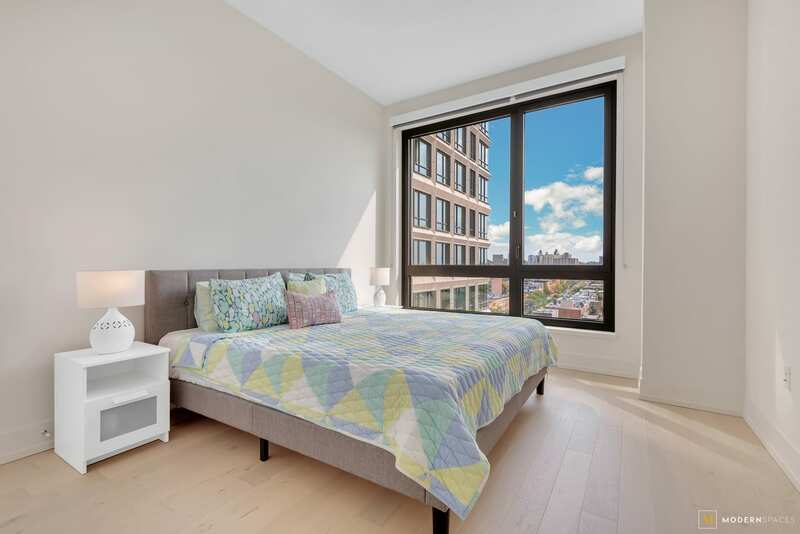 550 Vanderbilt is a residency like no other, providing its residents with an opportunity to connect with community and nature, all in the very heart of Brooklyn, New York Citys most exciting borough. 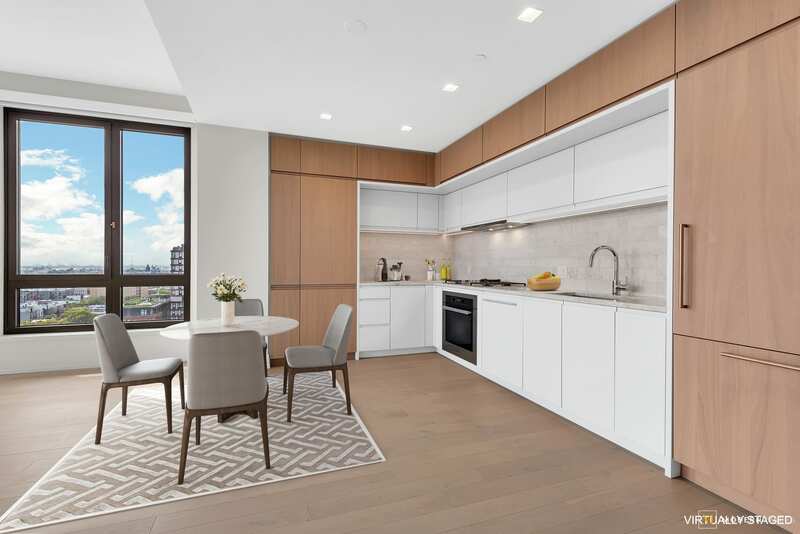 Welcome home to 550 Vanderbilt, Prospect Heights most coveted luxury condominium in Pacific Park, Brooklyns newest neighborhood. &nbsp; Residence 1109 is a corner three bedroom, two and a half bathroom facing South and West. The double exposure corner living/dining space opens to both Dean Street and Pacific Park and features open kitchen. 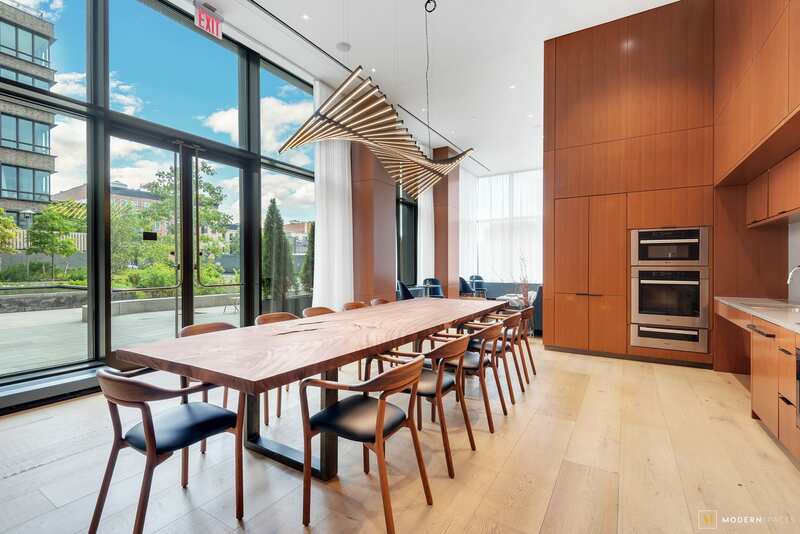 The 11 foot ceilings together with large windows allow for ample air and light and wide-plank white oak wood floors highlight a palate of natural materials. The kitchen features Carrera marble counter, walnut cabinetry and is outfitted with a premium Miele appliance package, including a vented cooktop hood. 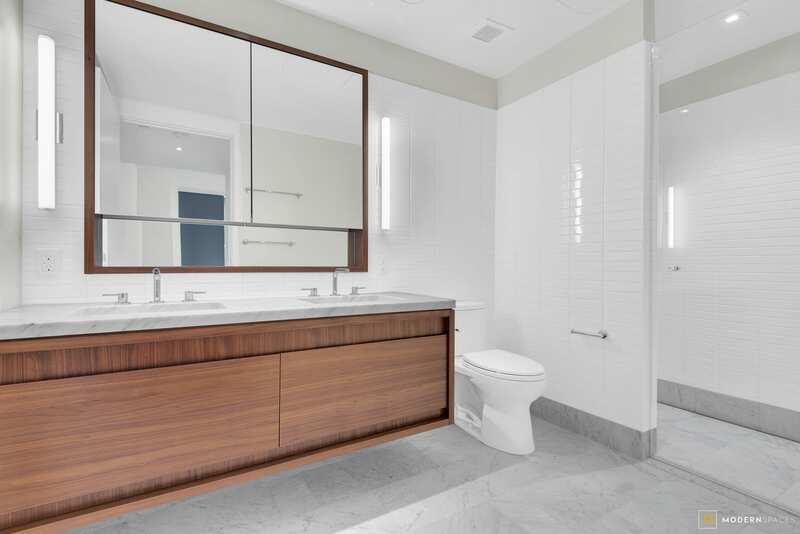 The master bathroom is a mix of Grohe fixtures, Carrera marble tiles and a walnut vanity. In addition, a LG Washer &amp; vented Dryer are included. &nbsp; Designed inside and out by architect COOKFOX, residents will enjoy an elevated experience in urban living. 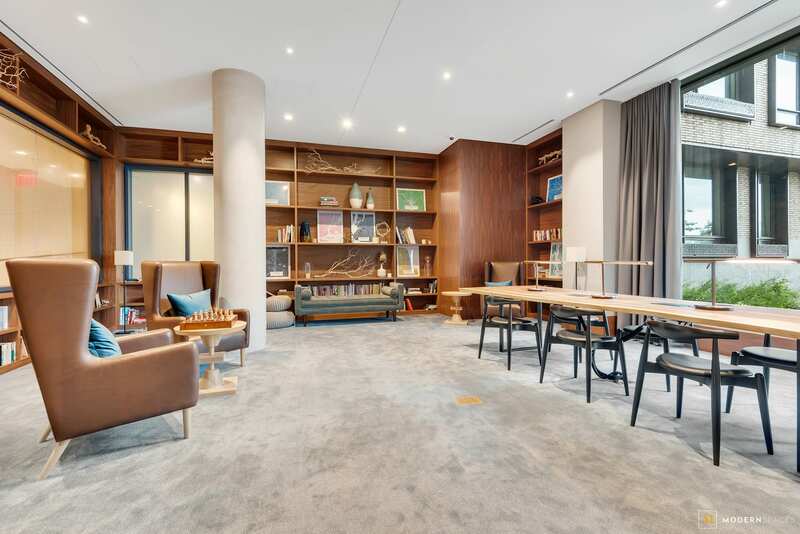 The full service amenities include a lounge that opens to the outdoors, a library, 8th floor roof terrace, but through your own lobby you will be connected to 8-acres of lush green space! 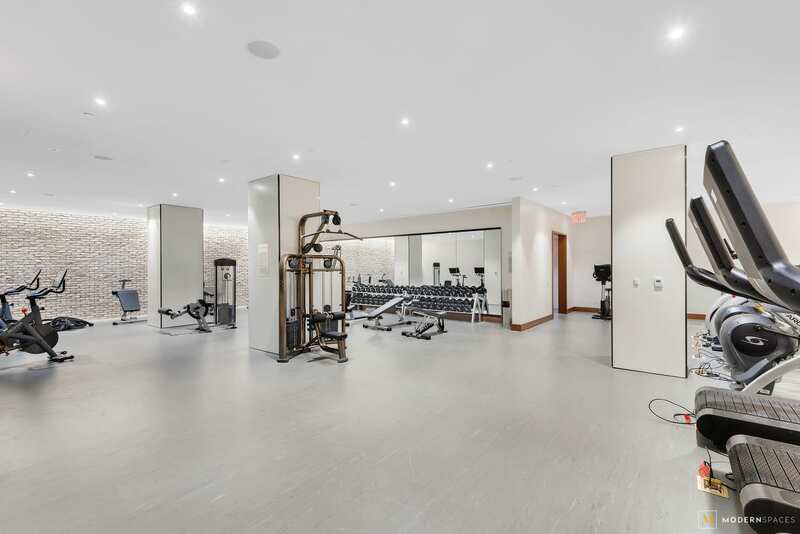 550 Vanderbilt offers a gym, an attended lobby and a live-in resident manager. At 550 Vanderbilt you are surrounded by 5 historic neighborhoods, cultural landmarks, and a transportation hub ready to take you anywhere. 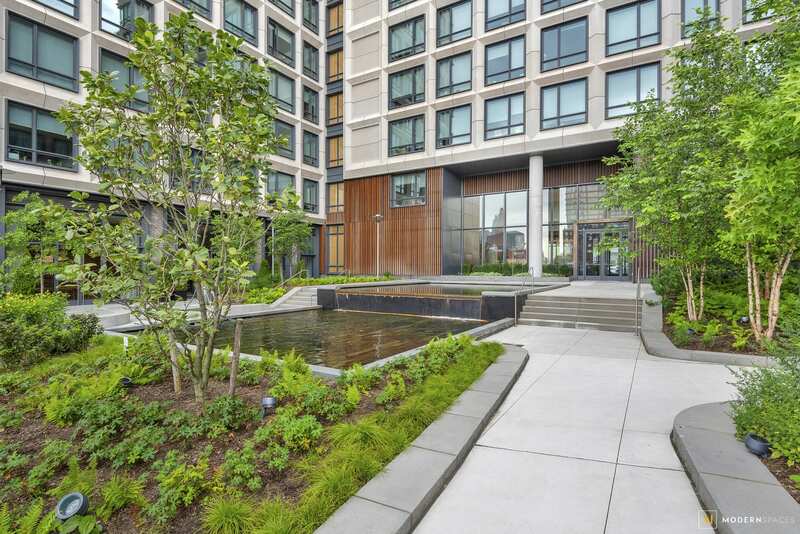 550 Vanderbilt is a residency like no other, providing its residents with an opportunity to connect with community and nature, all in the very heart of Brooklyn, New York Citys most exciting borough.